For the last few months now my Friday’s have been spent at my local #FNM draft. This last week was no exception. The shop had a Standard and a M14 draft queued up. But last week was our two local high school’s “rivalry” game, aka vs each other. So after 15 mins past the start time neither event was going to fill. After some debate some of the standard players come to the draft if we draft Theros, which was not what I was in the mindset for but hell we are all giving a little to make this draft happen…. A quick aside, we switched formats because 2 people would not M14 due to it “being a bad finical call.” Wtf? #FNM is meant to be fun and those of us that have drafted Theros every Friday and some Saturdays since the pre-release wouldn’t have minded/was looking forward to a change of pace…. 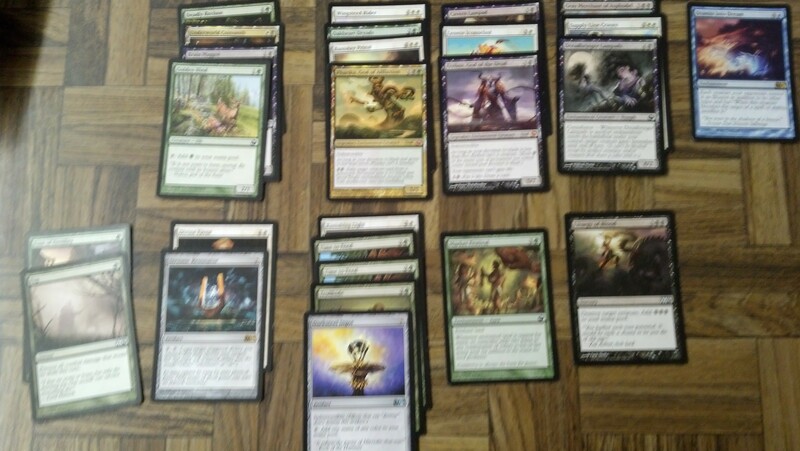 I drafted a really solid G/U heroic deck, at one point after drafting I remember thinking is there any way for me to lose? The answer is yes, the curse hit hard. I ended up 2 and 2, the 2 matches I lost I didn’t lose to the other player or their deck I lost to my deck. In the first match I lost; one game I died on turn 12, with 12 lands in play and 3 lands in my hand after drawing 2 extra cards. Another I kept a fair 3 land 4 spells, played out my 2 and 3 drops and never drew a 4th land. That’s magic, some day’s you are just unlucky and you have to roll with the punches. 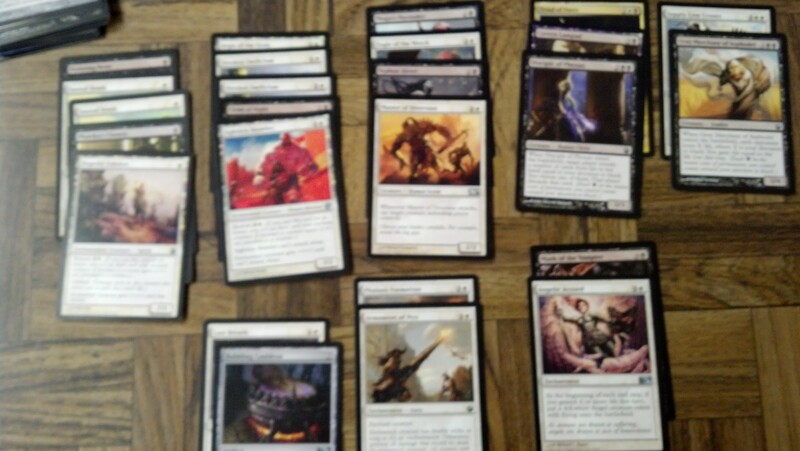 I did two Mtgo drafts over the weekend; I thought both of my decks were unbeatable. 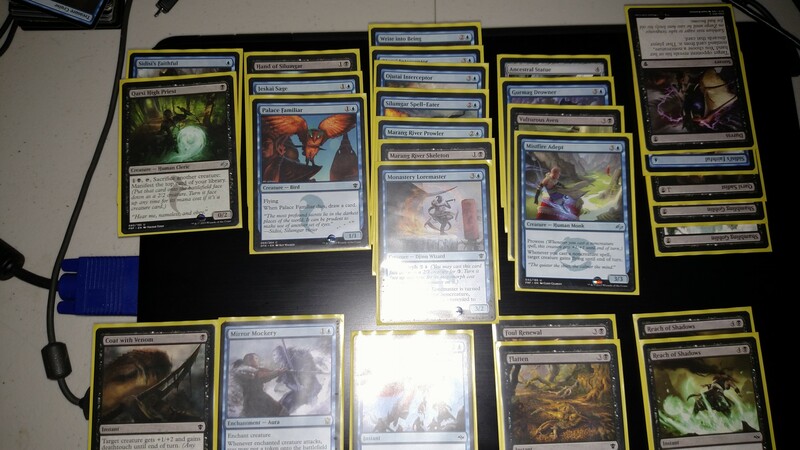 And the second draft that was true, when you draw lands and spells in the proper numbers (even if you get 2 or 3 in a row sometimes) a good deck can win. The second was not the case, even though I was able to get the booby prize. I will admit I had a few misplays in the first round. Well not really misplays vs my opponent having a ton of removal but when I had an opening to punish my opponent for burning all his removal I was unable to draw gas and once again died again and again to the land flood.